Alcoholism is caused by chronic drinking. The chemical alcohol contains ethanol, which comes from grapes and fruits and can be found in beer, liquors and wine. Classified as a depressant, alcohol slows the brain’s activity producing an effect on emotions, concentration and thinking. Alcohol becomes craved by the person who has an addiction to it. People tend to drink to excess when they feel unhappy and depressed, or when they have suffered a trauma. Long-term use of alcohol causes liver and kidney damage, the American Academy of Family Physicians indicates. Join an alcohol detoxification program where the process for alcohol withdrawal begins. Although physical symptoms usually occur during the initial phase of alcohol withdrawal, reading an article about alcoholism and its treatment will help you prepare yourself. Get rest. Rest, along with psychological and, sometimes, medical treatment will help you you to detoxify your body of alcohol, the American Academy of Family Physicians states. During the detoxification process, rest can make it easier to tolerate the withdrawal symptoms. 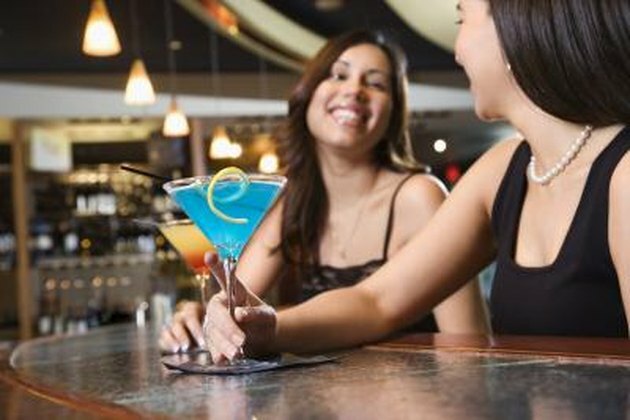 Detoxification from alcohol remains an inpatient procedure. Withdrawal symptoms may start as nervousness, trembling and shaking as well as seizures. Drink plenty of water. Because alcohol acts as a diuretic, it flushes out fluids from your body. Replenishing these fluids hydrates your body. In more severe cases, you may need intravenous (IV) therapy for hydration, according to Drugs.com. After IV therapy is completed, you can start taking fluids orally, such as the recommended six to 10 glasses of fluids per day. Blood tests will determine if vitamins, such as thiamine, are low. In some cases, IV replacement may be necessary; in other cases, you will take thiamine as an oral supplement on a daily basis, the American Academy of Family Physicians states. 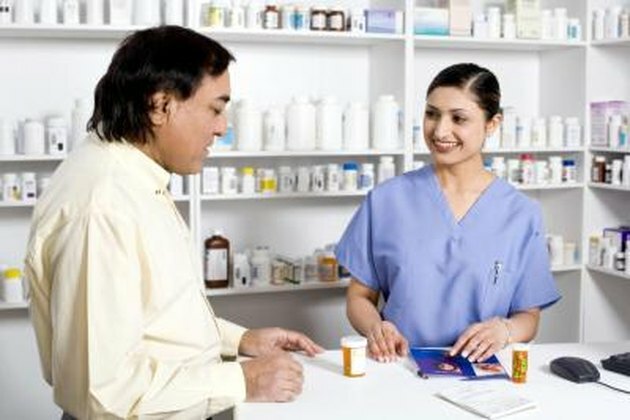 Medications are prescribed for the flushing out and withdrawal stages of alcohol. A nurse will take your vital signs as part of an assessment that determines the amount of medication you will receive in treatment. The physician typically will prescribe medications such as diazepam or lorazepam, which are benzodiazepines that act as depressants of the central nervous system. The doctor may use lorazepam specifically if you have suffered liver damage from alcohol abuse, the American Academy of Family Physicians states. Lorazepam remains useful in the prevention of seizures in alcohol withdrawal, the American Academy of Family Physicians states. In the first stages of detoxification, your blood pressure might increase. If prescribed, take oral blood pressure medications to prevent hypertension. Your blood pressure will be monitored regularly during this period. The physician may prescribe clonidine to lower your blood pressure. Remember that your body has been used to a large amount of alcohol that has kept your blood pressure low. All treatments for alcoholism in this article should be performed under the direction of a physician.